Halloween – Kate. Lives. Loves. Learns. 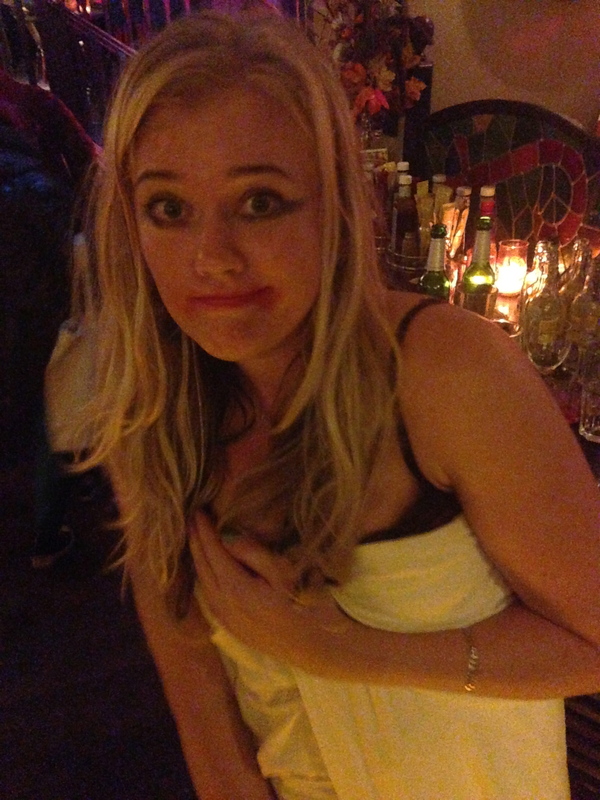 So this Halloween fell on a Friday and my first time celebrating in Amsterdam. My favorite meet up group Girl Gone International were hosting a Halloween party at a local Irish pub #ACE, the theme “inspirational woman” – not so Halloweenee, but who cares. Due to my pathetic organizational skills, I was left on Friday afternoon pondering what to dress up as with what I had available in my apartment, which in my case was not much. Maybe Marilyn, no – no white dress. Maybe Aileen Wuornos, no – no one will know her. Maybe Amy Winehouse, no – you’re blonde! Maybe a girl doing the W.O.S (Walk of Shame), YES! I personally have never done the W.O.S before, so she is my inspiration. 5. ‘Morning after’ make up – we all know how it looks. Easy, fun and simple. It was a crowd pleaser and so easy to pull off.